This definitive biography of Mary Todd Lincoln beautifully conveys her tumultuous life and times. A privileged daughter of the proud clan that founded Lexington, Kentucky, Mary fell into a stormy romance with the raw Illinois attorney Abraham Lincoln. For twenty-five years the Lincolns forged opposing temperaments into a tolerant, loving marriage. Even as the nation suffered secession and civil war, Mary experienced the tragedies of losing three of her four children and then her husband. An insanity trial orchestrated by her surviving son led to her confinement in an asylum. 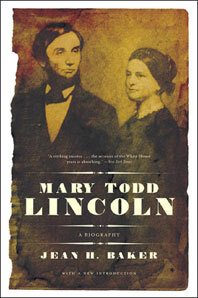 Mary Todd Lincoln is still often portrayed in one dimension, as the stereotype of the best-hated faults of all women. Here her life is restored for us whole.